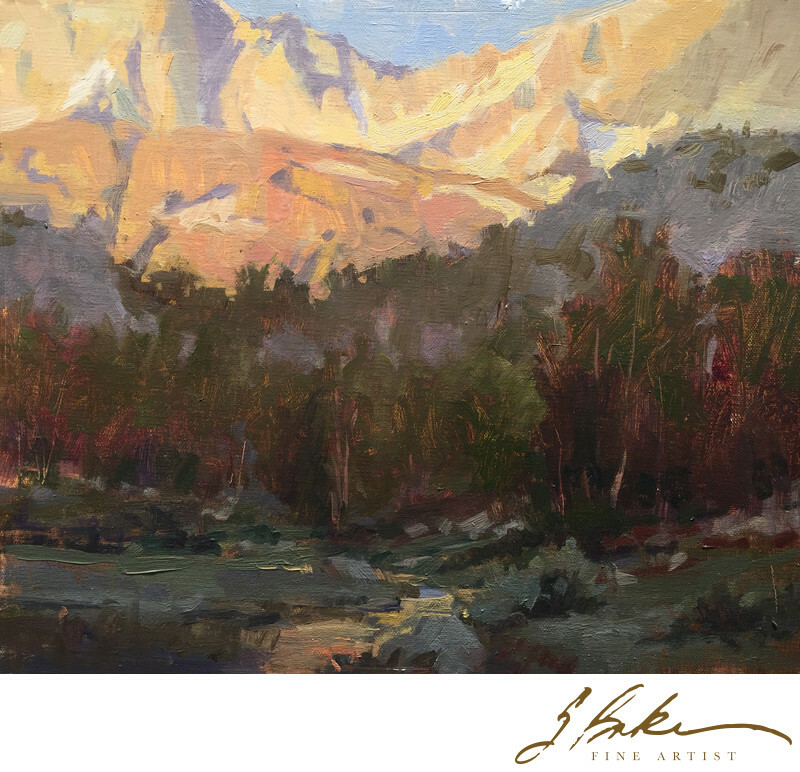 This is a plein air study created right outside our campsite while hiking in the Sierras with the Granite Group and is a view from Chicken Foot lake. While this is a small painting, to get the color right, I worked on it three consecutive mornings from roughly 7-8am. As the sun crested the eastern mountains, it would warmly light the furthest most mountain range and work it’s way forward. This scene depicts the fleeting time of light and shadow that exist before the morning sun fully filled the valley.